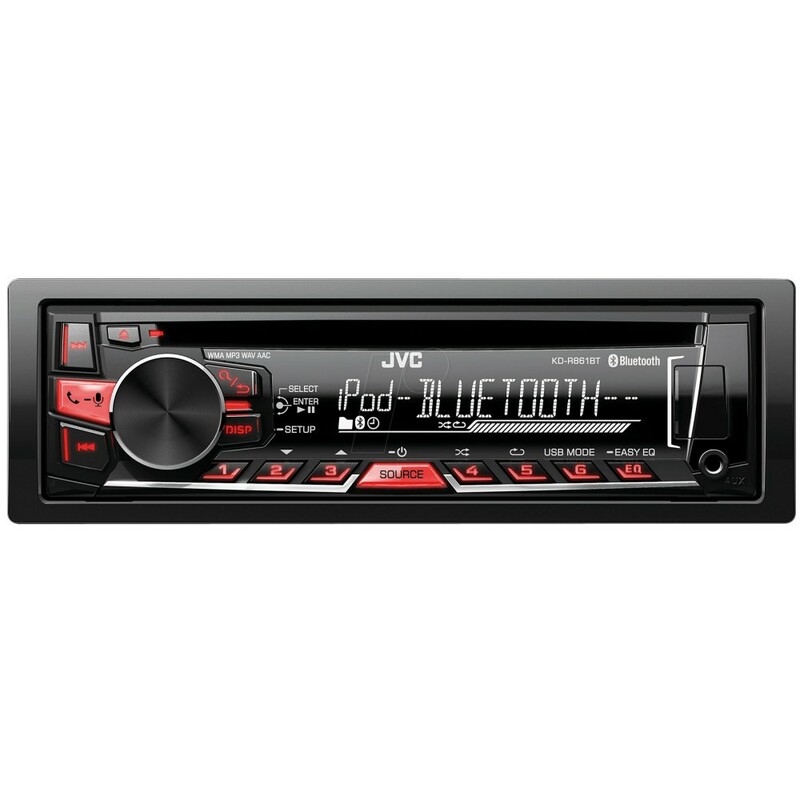 The JVC KD-R861BT Car Stereo lets your music take centre stage - with Bluetooth hands free and audio streaming you don't even need to plug in your device to listen to your tunes. The JVC KD-R861BT Car Stereo lets your music take centre stage - with Bluetooth hands free and audio streaming you don't even need to plug in your device to listen to your tunes. Plus, you'll be able to take calls from up to 2 phones through the speakers safely. Topped off with crystal clear sound quality, this in-car stereo has plenty going for it. thanks for your question, normally we would need to see the car as some A4 stereos can not be changed. However we have shown a single din fitting kit for the A4. This JVC stereo comes with an external mic. Will this play/fit in my ford ka 2014 & allow spotify to play through it? Also what will i need to buy extra? 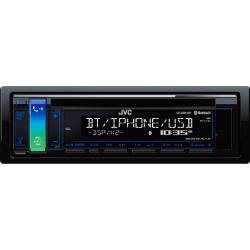 DEH-X5900BT - CD Tuner with Bluetooth USB and Spotify. Connects to Apple iOS & Android devices. Will this fit in my Clio mk3 and will I need any additional parts? The KD-R861BT can be installed in your Fiat Panda. You will need the below listed parts for installation. You will not need any additional parts as you already have a Sony unit in there. this stereo only has a mic jack at the back. I'm wondering where the patch lead of the steering wheel controls plug into as the only 3.5mm jack is the mic? jvc units dont use a jack style steering control they use a single wire on the wiring loom labelled steering control. Just wondering if this would be a direct fit in a 2008 vauxhall vivaro or would leads be required? hi.what would i need to fit in a 02 mondeo? will the steering wheels control work? while playing a cd can i answer the phone using Bluetooth? Thank you for contacting us. 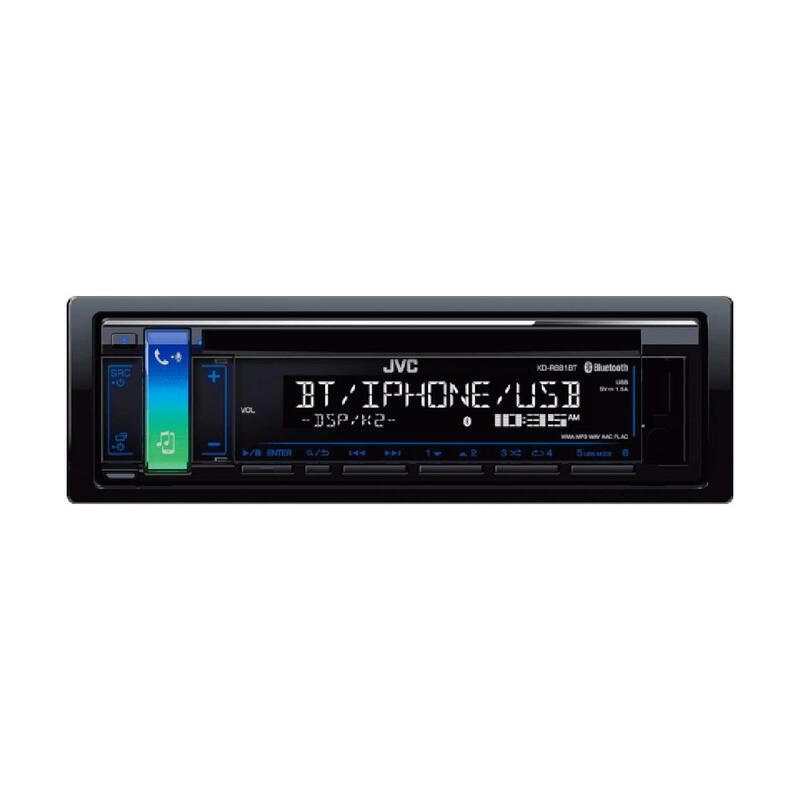 Yes you can listen to CD, USB or stream music to the JVC and also have your bluetooth connected for handsfree phone use. The music will be interupted once a call come through and allows you to accept or reject. There are different leads for your car needed to install the JVC KD-R862BT into your 2006 BMW 1 Series. If your car doesnt have steering controls, then the lead you need is CT20BM03. If your car does have steering controls, then the lead is dependant on the specification of your car. Please select from the list below. With any of these three leads, you will also need a patch lead -CTJVC2Lead. will this stereo cd player fit into my van? what adaptors would be needed and would the keys fit to remove my original vw radio? If so what is the total price please? hi there, any single din sized unit will fit fine into your car using the below parts to fit it in. I would like to buy this stereo for my car. When I pulled the old stereo out it had 3 plugs and the aerial. If I bought this do I need any extra adaptors for it to work with the steering wheel?